An Introduction to Modern CBT provides an easily accessible introduction to modern theoretical cognitive behavioral therapy models. The text outlines the different techniques, their success in improving specific psychiatric disorders, and important new developments in the field. 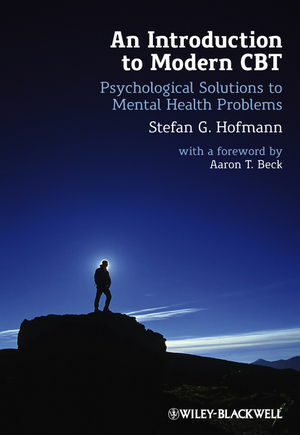 Stefan G. Hofmann, Ph.D. is Professor of Psychology and the Director of the Psychotherapy and Emotion Research Laboratory at Boston University. He has been a Board Member of the Academy of Cognitive Therapy and is an advisor to the DSM-V Development Process. He is the author of more than 170 peer-reviewed journal articles and book chapters, and has published seven books. His primary research interests focus on treatment research for which he has received many research awards. In addition to lecturing clinicians world-wide in cognitive behavioral therapy, he is a licensed psychologist and has a private practice.